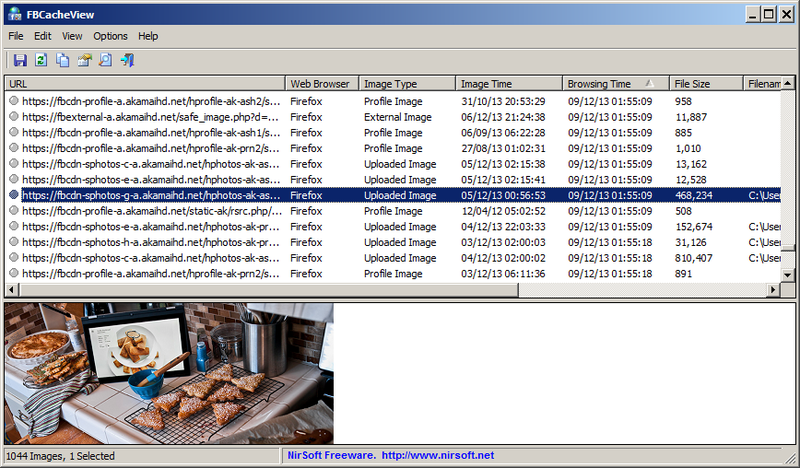 FBCacheView is a new utility that scans the cache of your Web browser (Internet Explorer, Firefox, or Chrome), and lists all images displayed in Facebook pages that you previously visited, including profile pictures, images uploaded to Facebook, and images taken from other Web sites. For every Facebook image, the following information is displayed: URL of the image, Web browser that was used to visit the page, image type, date/time of the image, visit time, image file size, and external URL (For images taken from another Web site). Posted by NirSoft on December 15, 2013 at 2:42 pm under Utilities Update.